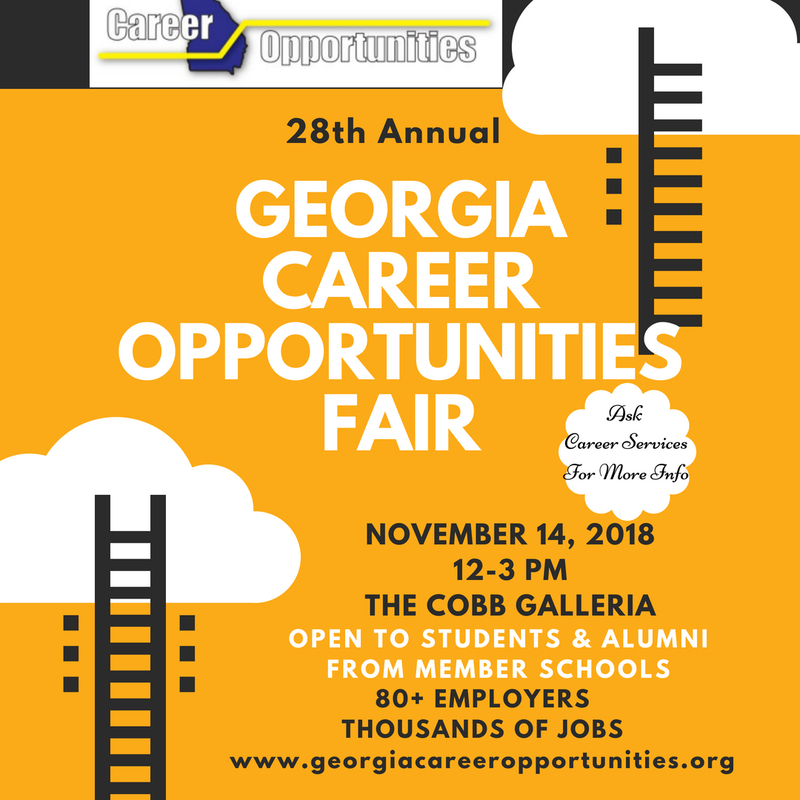 Since 1990, the Georgia Careers Consortium has hosted one of the biggest career fairs at the Cobb Galleria in Atlanta. This event is open to students and alumni from member institutions only. Approximately 500 students seeking full-time jobs and internships attend this event each fall to network with over 70 employers. This annual event provides students and employers the opportunity to connect beyond the online application process.